Ladders and Cages | GEF, Inc.
GEF Incorporated can custom-build a ladder based on your specifications. 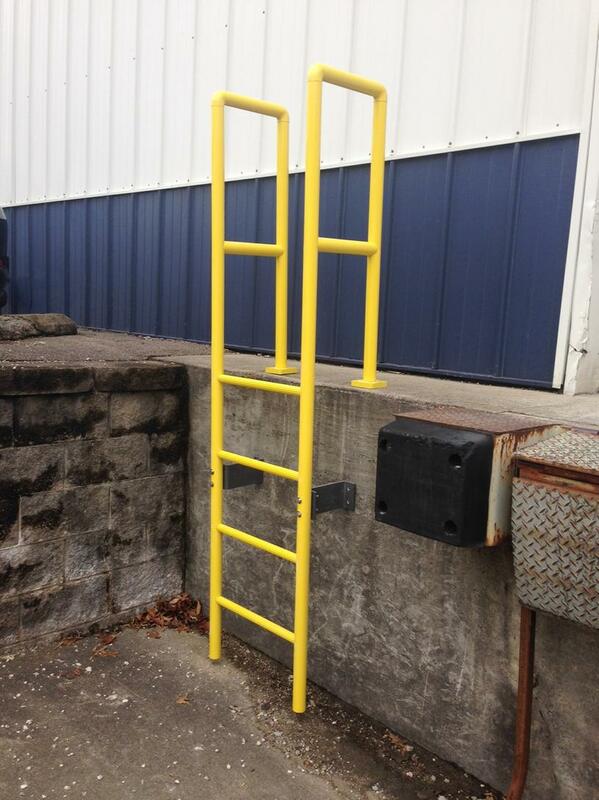 Our ladders (cages optional) are made of top quality fiberglass material, providing years of maintenance free use. 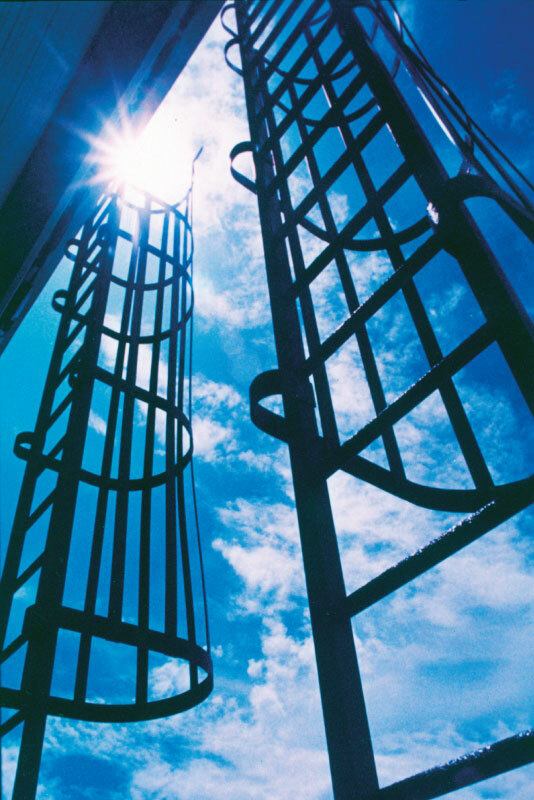 Our ladders will withstand harsh weather conditions, heavy usage, as well as extreme situations. 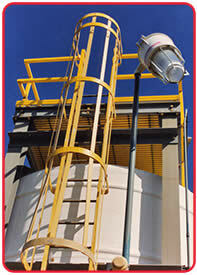 SAFRAILTM ladder and cage systems can be used in virtually every industry and in a variety of environments. Most often, SAFPLATE® systems are designed for use as wall mount ladders, base/floor mount ladders, walk-through ladders with return, side mount cages, and walk-through cages with return. 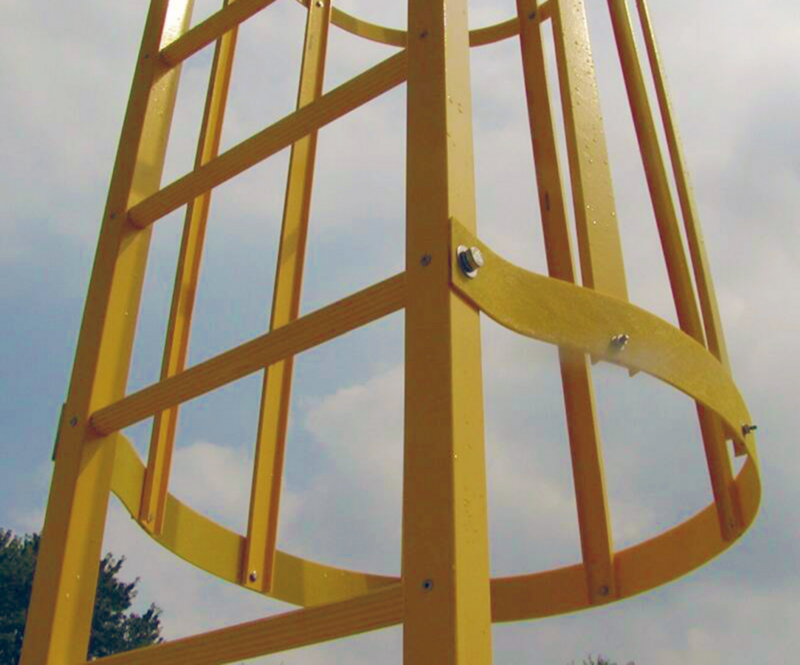 All our ladders have fluted, non-slip fiberglass rungs.